Kill Switch is one of my most anticipated reads of 2019, and I screamed so loud when I received an email saying I was approved for an e-ARC. Mainly because this book FINALLY tells the story of the psychopath, Damon Torrance, but also because I really love this series. So far I’m 25% in and pretty much hopelessly in love with Damon. If you are interested in the Devil’s Night series just keep in mind that this is dark, suspenseful romance! I think everyone and their mother has either read or is currently reading King of Scars, but ugh so far I am seriously underwhelmed. Naturally, I did the worst possible thing and read the last sentence of the book. HOLY SPOILERS. But it’s actually motivating me to just keep going. I recently finished In Another Life and really enjoyed it. It’s definitely a story that evokes a whole lot of emotions but I caught myself flying through this one to try and figure out the ending. I’ll have my review up for this one in March since I’m participating in a blog tour with the publisher! 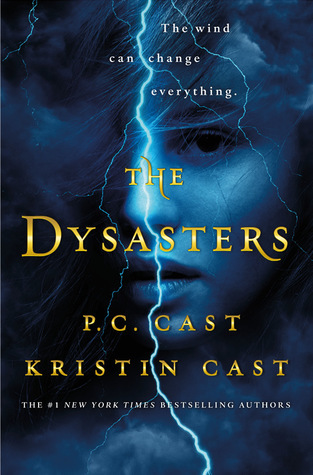 I received a copy of The Dysasters in the mail last week and I’m so excited to start it! I was not expecting this to have illustrations in the book so I can’t wait to see how they help bring the story to life. The Dysasters 💙 that was a fun read for me! YAAAS! I’m so glad to hear that!!! I just got a copy of The Dysasters in the mail today too! I wasn’t expecting the illustrations either, can’t wait! YAYYY! Hope you enjoy it!